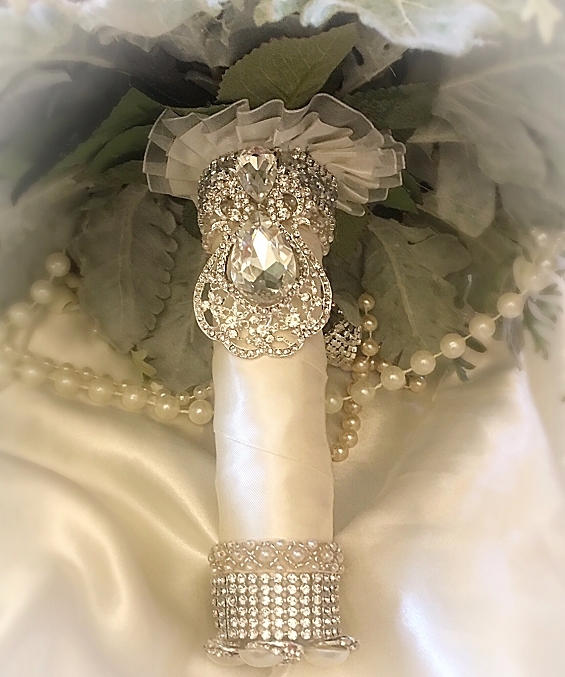 Custom Large Lush 32&#34; in circumference high quality Silk flower bouquet with crystal and pearl accents along with elegant all pearl draping.... Custom hand made by Glam Bouquet www.glambouquet.com . 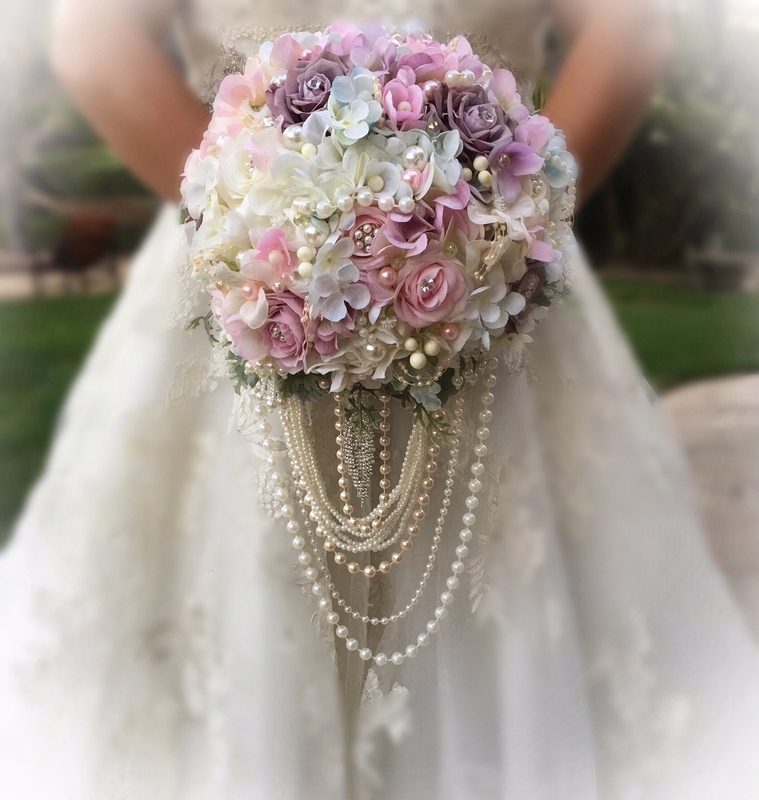 Stunning very real looking wedding bouquet, very vintage and elegant looking and very full and lush 11&#34; size bouquet.